After waiting quite some time on my library wait list, this clearly popular book came in and was an easy book to tear through. 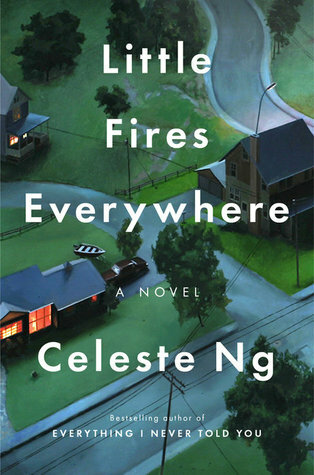 The book Little Fires Everywhere by Celeste Ng is an interesting character study about a suburban family with four teenagers in Shaker Heights, Ohio. The book works through some perhaps common themes of items such as suburban ideals versus deviant rejection of these principles, but does so with intriguing story telling. One of my favorite things that Ng did in this book was unravel the story in a way that almost carelessly (but clearly intentionally) dropped hints along the way of future parts of the story while keeping the details locked up -- early on the book outlines an event with a fire, talks about a town controversy, details a mother and daughter leaving town in the middle of the night, and some interpersonal challenges between a group of four siblings. What is it all about you ask? And the book lets the intrigue unfold one question at a time. In addition to Ng's story telling, she also does a great job of demonstrating an understanding of people. The characters she creates generally seem reasonable and believable. These may be characters but they not only seem believably but also reasonable archetypes on a suburban community. As on of my book choices for 2018 (12 books in 2018 goal), this was an enjoyable selection and addition, not to mention, pleasantly intriguing. In 2017 I ended by 12 book goal with Mr. Penumbra's 24 Hour Bookstore by Robin Sloan. Since reading it I have found that I felt like it's style and themes connected with me in a way that left me enjoying without giving out a lot of recommendations for others to read. Certain pieces of the book felt like they touched on my own idiosyncratic interest, such as typography. 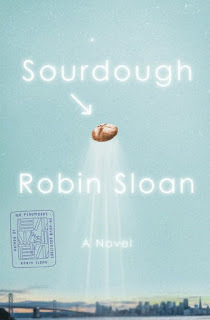 So I was pretty excited to finish reading a see that Robin Sloan had recently written a book called Sourdough. Sourdough conceivably was something that instantly resonated me having recently restarted by own starter (a dedicated sourdough bread maker for over a year until a dishwasher and insurance issue interrupted my diligence). Similar to Mr. Penumbra, this book did not disappoint - there were times when I was reading, laughing out loud and feeling connected to the character Lois (is she Lois from the technology firm, or is she Lois the bread maker?) who is capable of making it in the modern world, but called to other less mechanized worlds. In many ways, Sourdough was an easy read, but also had some narrative inconsistencies, largely because Lois is in many way the singular character in this story and everyone else who comes and goes are less than supporting characters, limiting the narrative arch of the story. All said, plenty to enjoy here - although at time I stopped reading to make my own sourdough bread. This book is part of my series 12 books in 2018.